He burst on the fusty corridors of Victorian spirituality like a breath of fresh air, regaling one prime minister with his sense of humor and touching the lives of seven presidents. Who was this man? 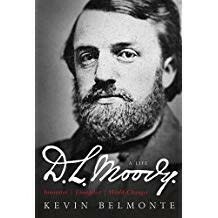 A visionary educator and fundraiser, D. L. Moody was also a renowned evangelist in the nineteenth century. Long before radio and television, he brought the transformative message of the gospel before 100 million people on both sides of the Atlantic. Thousands of underprivileged young people were educated in the schools he established, and before the Civil War, he went to a place no one else would: the slums of Chicago called, "Little Hell." The mission he started in an abandoned saloon drew children by the hundreds and prompted a visit from President-elect, Abraham Lincoln, in 1860. 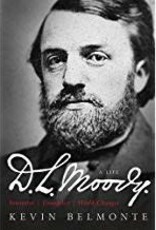 Drawing on the best, most recent scholarship, D. L. Moody—A Life chronicles the incredible journey of one of the great souls of history.